Downloaded this app and my life has just became more fun. It's way better than other dating apps I've tried before, no joking. For me, it doesn't matter if an app has great animations; the point is to meet people that are worth my time. And this is what I'm gonna say here, Luxy has the most fabulous people in my place! If you're already in Luxy, you should know what I'm talking about. People there are very good looking and are SUPER rich. Hmmm…I have to admit that this made me a little bit jealous. If you aren't comfortable being reviewed, this probably isn't for you, but it makes my account more secure. I mean, profiles on Luxy are verified to be activated. I'm in a sense protected from being scammed. This can be a little disconcerting at first, waiting 24 hours for the result. When I passed my application and was leaded to the app, I just felt so much better and couldn't wait swiping around. XD. I'm registered with my Facebook, but if you prefer using an email to sign up, Luxy offers that option too. I've been using Luxy for a couple of weeks, and I found it to work quite well, with minimal issues. But it's quite normal that you encounter with this in tinder, bumble and other apps. 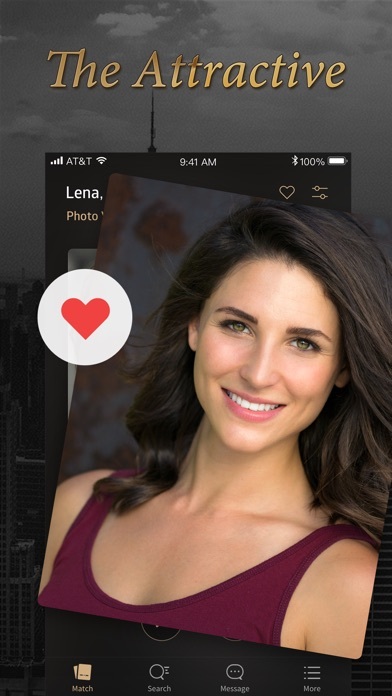 All the key features of modern dating app are here: swiping gestures to let you easily like and pass people, sending instant messages to contact matches. Luxy also has some quality features that just make it nicer and simpler to find people near around. And of course, it's paid service. The online customer service is also a nice touch. It helps me a lot to figure out this app. It has to have 6 stars not just five, one more should be given to their great customer service. It’s really amazing! you know what? 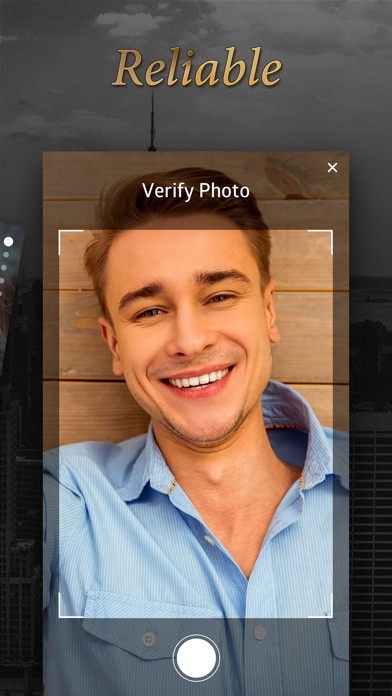 I’ve never used a dating app before, since I’m always afraid that there are lots of scammers and the possibility of making friends is quite low in those communities, which don’t deserve spending time at all. However, after I downloaded Luxy Pro(strongly recommended by others), I realized that this APP can change my boring life! To be honest, several months ago, I moved to another city for work, I have no relatives, friends and classmates here. So I really want to make some local friends, otherwise I will be extremely bored and lonely! Surprisingly, I can find both of women and men on this app. When I edit my profile page, I can choose what I want to know, women and men. In this case, I can make friends with them since there is an important function: I can know their locations from their main pages. 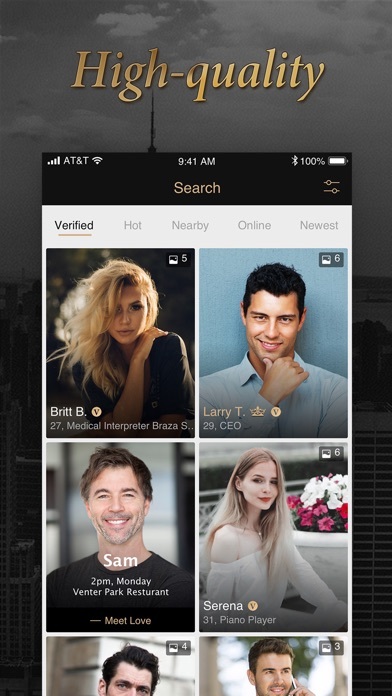 When you really want to know more people and find those who have similar interests with you, Luxy Pro is definitely a good choice for you! To have more authorities, I purchased monthly Black membership. You know, the app can match you users according to your interests and locations. Most important, when I became a Black member, I can send messages to the one I like directly, which saves me a lot of time! And also, as I just don’t want my profile to be seen by others, I could set it in my profile page as well, making me trust this app more. Now I’m happy to say that I’ve found some people I’m interested in and I’ve made friends with some people successfully. All of us are into watching comedies and reading! OMG, I’ve never made friends with others in this kind of way! I really want to thank all staff of Luxy Pro, thank you for your efforts to keep this community goes well. Looking forward to more functions. This app makes you wish you lived in other places. I love the quality of men that are on the site. There are a few that slip through the cracks but it certainly doesn’t outweigh the good. same old same. women out of the country and men. most men i spoke to had serious issues and the site did ban them but quality on here was way below a random bar on a friday night. probably an OK site for 25-35 yr olds. just don’t believe people are screened or who they say. I’ve attempted to get my account verified 3 times and it timed out each time. Saying I didn’t pass the review by the time. It says to increase my chances delete the app and try again. Three times later same results. This site will have you think you are joining a prestigious site where you can meet people with out feeling cautious. But wrong!!! I spent $100 on a membership and when logging back in to my account it erased all of my profile information and also ask to pay for another membership. Ive e-mail this site to see if they can help but not on ever respond back. Overall, be careful with this site. So I paid for the pro app $19.99 what do I receive? Apparently nothing.